Philadelphia Electricians is a family owned, full service Philadelphia Electrician and Licensed Pennsylvania Master Electrical Contractor offering the homeowners and businesses of the Philadelphia Metro Area fair pricing and unrivaled electrician service for more than 20 years. Our highly trained certified staff provide electrical service that people can trust and rely on. We are dedicated to keeping our electricians trained in all aspects of the rapidly changing electrical industry to ensure we can help Philadelphia residents with any electrical issue they may experience, and get the job done right the first time at a competitive price. 24HR Electrician service available. We know that people in the Philadelphia Area don't want just any electrician in their home, which is why we pride ourselves on having clean cut, professional electricians working in our residential electrical contractor division. You will not find more affordable personalized service coupled with an industry leading guarantee on all parts and labor used and performed with any other Philadelphia Electrician. We offer flexible payment plans from credit cards to financing in many situations, and we have a tremendous in-home safety record with reliable, on-time electrical service. You don't have to take our word for it.....read any one of our testimonials from our happy customers! 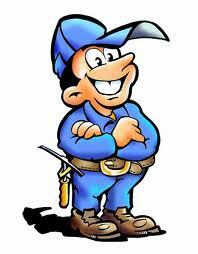 The following are some of the residential electrician services we provide. If you need an electrical contractor in Philly or surrounding areas please call us today. From new construction to massive industrial facility re-wiring, Philadelphia Electricians is capable of handling the very largest of industrial electrical work in the Philadelphia Area. We are fortunate to be a family owned electrical contractor company that has the size to dedicate a team of electricians from our Industrial division to your large project whether it be for 2 weeks, or 2 months. Industrial electrical work commands the highest skill level, and our certified master electricians have the qualifications and the equipment needed to succeed. When the project is complete, our team can be available for afordable ongoing maintenance to ensure the longevity of your electrical work. We are highly responsive and very competitively priced so when you need industrial electrical work completed in the Philadelphia Metropolitan area, get a quote from us and we will show you how we can save you money and get the job done right the first time.